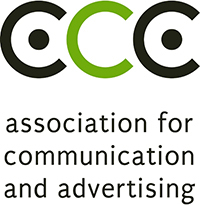 The Association for Communication and Advertising (ACA) has announced that tickets are on sale for the 2015 APEX awards gala event that is taking place on the 20th of July 2015 at the Sandton Convention Centre. The prestigious and hugely popular annual event attracts more than 400 captains of industry from the advertising and communications sector, commercial business, industry stakeholders, key stakeholders from Government and members of the media. The gala event is hosted by the ACA and event key partners SABC and the Sandton Convention Centre together with sponsors Millward Brown and Unilever and it is more than just an awards ceremony or networking event. Funds raised from the APEX awards fund much needed bursaries. Deserving students from the industry’s trade school – the AAA School of Advertising are awarded bursaries to assist in funding their tertiary education. The bursary recipients are selected against stringent criteria. Without the APEX bursaries, these students may not be in a position to pay for their tertiary studies or obtain a tertiary qualification. The event is a celebration of talent, the communications campaigns’ success and the contribution of advertising and communications to business success. It is a showcase of work that works hard to deliver tangible and measured results. “Winning an APEX places a real seal on client and agency relationships and teamwork because it demonstrates the contribution made by the team through its collaboration and work. Without the collaboration and support received for APEX from our key partners, sponsors and contributing companies, staging the event and providing much needed bursaries would not be possible. We thank all involved and look forward to a long and mutually beneficial partnership going forward,” adds Odette. The annual APEX Awards is hosted by the Association for Communication and Advertising (ACA) which is the recognised industry body of the advertising and communications sector of South Africa. APEX recognises and celebrates communications campaigns’ performance excellence by contributing tangibly to client’s business and bottom line. Winning an APEX places a real seal on a client and agency team’s achievement because it demonstrates the contribution made by the team through its collaboration and work. Entry into the prestigious APEX Awards is exclusive to agencies that are members the ACA and their clients.